2.2 litre turbocharged diesel engine that produces a maximum power of 148 BHP with 6-speed manual gearbox as well as 6-speed automatic gearbox. 3.2 litre turbocharged diesel engine produces a maximum power of 197 BHP with 6-speed automatic gearbox. Talking about the dimensions of new Ford Endeavour – the car measures 4,882 mm in length, 1,862mm in width, 1,836mm in height and has a wheelbase of 2,850mm. 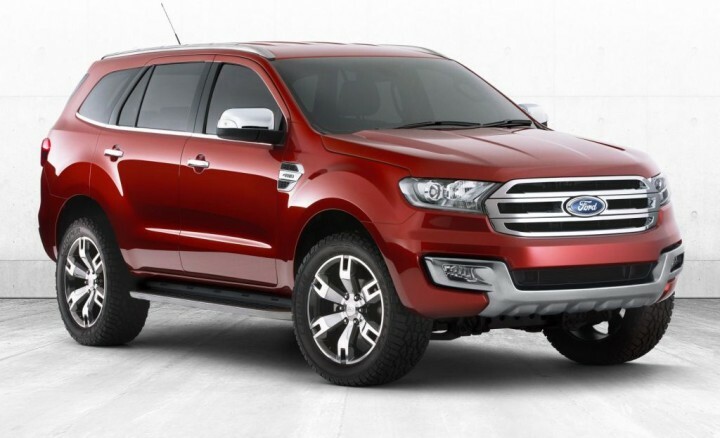 The new Ford Endeavour model weighs 2,357 kg which is 343 kgs more than the current Ford Endeavour. This new Ford SUV has a ground clearance of 225mm and water wading capacity of 800mm. Ford shall price this new Endeavour very competitively with prices starting as low as Rs. 18 lakhs. The new Endeavour can take on its rivals like Toyota Fortuner and Mitsubishi Pajero Sport.